Huginn croaked at him from the windowsill, folding his wings and settling them neatly along his body. It sounded almost like agreement, but Huginn had never been one for taking his side so August assumed that he must have misheard. “Stop complaining,” Muninn snapped at him, unsympathetic. She gave the journal another shove with her beak, barely missing his fingers. “You do not have to read all of it.” And she took the paper from him roughly, clawed through the pages with one iron leg until she found the right place, and forced the journal back towards him. “No!” the bird said, and her clockwork eyes were spinning so fast and her raven voice was so loud and so harsh that August recoiled back into his pillows. Muninn saw his reaction and retreated, turning away from him for long moments and then back again. Her eyes had slowed, the cogs moving more gently against each other, without grinding, and her voice was softer, recognisable. “More hideous than me?” said August, who had no mirrors but who saw himself in others, his face a spectroscope while theirs were mirrors of refracted lines. Lines that were growing stronger, and more horrified. “Okay,” said August, uncertain, and feeling somehow as if he had been cheated, as if he were missing something, even if that something were horrible. But the end of August was coming, and he was in its final week and he felt, today, as if he did not have the strength to argue. He had just settled the journal to a comfortable level when Huginn marched up the bed and tore it from his hands, took him in his own iron claws and hauled him up from his bed and out of the window. He didn’t let August up onto his back as Muninn did, just dragged him through the air underneath, his claws wrapped around and the air from his beating wings blowing August half to pieces. And August, who remembered another trip with Huginn, dragged through radio waves and radiation and the burnt transmissions of Nagasaki, screamed as loudly as he could. It still wasn’t very loudly, but there was no response and when August twisted as much as he could in the iron claws of the raven who held him, twisted to look back, he saw Muninn on his bed, and looking away. She did not follow. It didn’t take August long to give up, to hang beneath like a side of meat strung up for curing. He didn’t have the strength to fight, so he did the best he could to conserve himself, to preserve, until Huginn flew down into a city, down into a clean and well-lit laboratory where a man was bent over a microscope. “Is that Shibasaburo?” he said, and Huginn bobbed his head. “Is this August then, or June?” he asked. 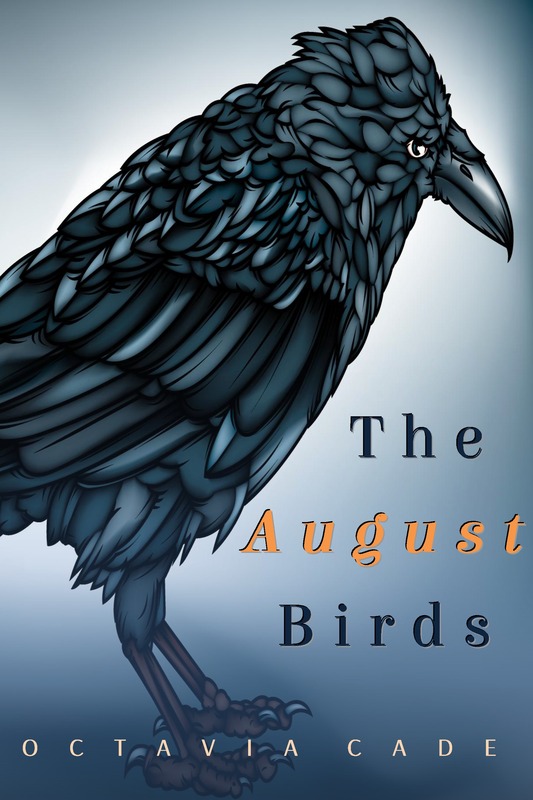 “June,” Huginn croaked, and gave August’s shoulder one hard, quick peck, just sharp enough to dent the skin and bury the very tip of his beak within. August braced himself for the warmth, for the immersion, but this was not the overwhelming flood of information that came with the Lunar Orbiter, that came with the presence of Madrid. This was a dim recollection of it only, the merest taste, and it overlaid August’s vision with paper so that where-ever he looked he could see pages from the Lancet, hung like ghosts before their publishing. He knew then that he was seeing the genesis of the paper that would be, the one stamped a week before his birthday, the one that lay discarded on his blanket. There was another stool close to where Shibasaburo was working, and August hoisted himself painfully onto it, his legs swinging beneath, but he was able to rest his upper body on the workbench and so that was something. The Lancet pages seemed stamped into the bench, into the walls, and looking at them made him dizzy, although staring at the microscope sometimes made him sick so that he did not always know where to look. He could sneak occasional glances through the microscope, see the rods of the bacteria stained blue and that was not too bad, but Shibasaburo was working also with corpses, with the many thousands of dead from the Plague around them, and he was braver than August, who could not watch the organ tissues cultivated in incubators, the blood scraped from dead fingertips and all around the smell of beef tea over putrefaction, tea used to grow the bacteria in colonies that were not bodies, in populations that were not damaged and desecrated by diseases not their own. “How does he do it?” said August, thinking of the bodies of the dead, piled up like cordwood for burial and for testing. “Isn’t he afraid the same thing will happen to him?” But Huginn, awaiting his turn at the microscope, made a guttural sound of indifference and turned back to the lens, winged fascination in the midst of horror. He was not comforting, even when he flew August home, back to his bedroom that was free at least of pustules, of buboes and black blood and left him there. He was not comforting to Muninn either, who stood where they left her except this time with paper ripped to pieces about her claws and memory clouding her clockwork eyes. It was left to August to be comforting, and he knew of nothing he could say to make it better for her, for either of them. Instead, he held her in his arms, stiff and unyielding as she was with her heart as iron as the rest of her. “At least there was a cure,” he said, even if there had not been one for him, or one not come in time. “One day everything will be cured,” he said. “Do you really believe that?” Muninn asked him. Tune in tomorrow for the next chapter, wherein August is taken back in time to see Earth Summit at Johannesburg!